So my dad died last week. At the time of writing this we still haven’t had the funeral. So many old people have died that the undertakers, crematoriums and churches are fully booked. We finally got a date; Monday 28th January at 11:20. We had wanted an afternoon so that people could have time to travel, but what can you do? So how do I feel? Have I cried? Have I struggled to do my job? Have I sat and gone through all my memories of him? The answers in order are – I’m not sure. A little; briefly. No. Some. There is this thing happens when someone dies; in my experience. Colleagues and friends become all ‘mushy’ and ‘ah’ and sympathetic. “So sorry for your loss.” They say, and “Oh, no!” as their head goes to one side and they make a sad face. Others get all uncomfortable and go silent. The fact of the matter is, we don’t do death very well in the west. How our ancestors handled it. The Ancient Greeks feared it and attempted to not displease the gods through correct burial services. The Egyptians were totally obsessed with it, believing in a happy afterlife. Vikings burnt those of high status on a boat pushed out on the water, or buried the whole thing! 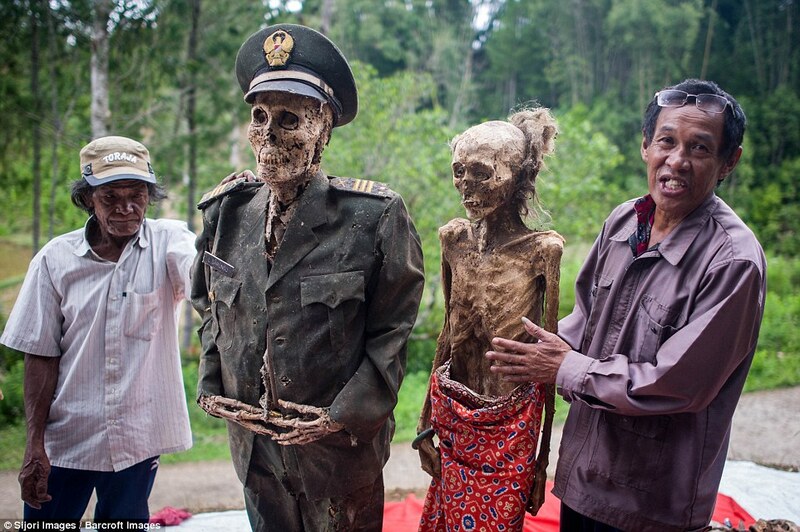 In a part of Indonesia, the annually dig up the dead and ‘socialise’ with them. In Japan, the family have to put the bones after cremation in an urn themselves – using chopsticks! While the New Orleans Jazz funerals celebrate the deceased with costume, parade and loud music. While some of these behaviours might seem odd to us westerners, there is something that the relatives and friends get that we don’t. Closeness to death. Being around the deceased for a length of time allows one to realise, internalise and accept that this person is gone, they will never be coming back – and that is normal. When I was a child, my mum was a nurse, my aunt was a nurse, my uncle was an ambulance driver, my dad a First Aider. So I grew up surrounded by conversations about the sick and dying, of all ages. As a family, we watched medical programmes. I had conversations about when our parents die, only much later did I understand that this was not a normal thing for British families to do. We seem squeamish about the whole thing. About ten years ago, my parents said they had made out their wills and me and my brother were the executors. My brother left the room and wouldn’t talk about it. He has a weak stomach for all things emotional and responds by ‘running away’. The result is that I have been making all the arrangements and clearing up dad’s paperwork and helping mum make funeral and reception bookings. One day, my daughter will have to do the same for me, and her dad, as she is an only child. I could not believe how much has to be done after a death. When someone dies in hospital in England, someone gives you a Bereavement booklet with information and a list of things to do – this includes: Informing friends and family – yep, you gotta make those calls and say the words, “My dad has died.” Over and over again. Me and my mum spent six hours on the day he died finding all his documents and sorting through paperwork. We only get 2 days off work here. So I have been getting phone calls from the funeral director, the printer who is making the Order of Service booklet, and dad’s pension fund whilst I’m in the middle of working. I found it easier to tell all the staff I work with and my students what had happened, so that it was out in the open – but most importantly, normalised. Death is normal. It happens to every living thing. So why don’t we talk about it more? Also, why do we feel the need to say only nice things about the dead? Surely every man and woman who ever died was not, “A wonderful human being.” “The light of my life.” and so on. I considered a poem, but it made me cry – not for my dad, but because the poem was so beautiful. So I wrote a thing. It doesn’t make me cry when I read it. Because the truth is, not everyone has perfect parents. Not everyone was, or is, devoted and bound to their family with love. I had a balancing act to perform, not offend or upset my mum, and to tell the truth. My dad would have approved actually. Comes to us all. We have no choice, we cannot barter or buy our way out of it. If you believe that cryogenics will help you live again, then you need to revisit your biology lessons. Besides, it is natural. It is natures way of making room for the next lot of life on Earth. We need to talk about it, confront the one and only irrefutable truth – you are going to die one day! On the one hand, I hope my dad’s funeral goes without a hitch. On the other, I perversely wish something would happen like in the comedy shows. Either way, like death, it’s going to happen. Thanks for your comment. And thank you for reading my blog. See you in the Twitterverse! Girl I am so sorry to hear about your dad. Your take is a strong one on how society currently treats deaths – thanks for sharing! I don’t think I ever wrote back to thank you. Thank you! for reading my blog, and the condolences. It means a lot to me that people respond but I am so very bad at reciprocating!